Planters Salted Peanuts (48 count) only $7.44! Stock up on Planters Salted Peanuts with this great deal! 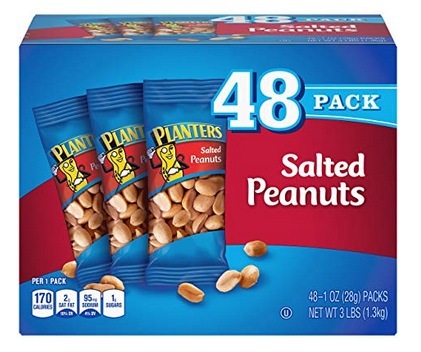 Amazon has these Planters Salted Peanuts (48 count) for only $7.44 right now! That’s like paying only $0.15 per pouch which is a great stock up price! « Walmart Beauty Favorites Boxes as low as $2! !